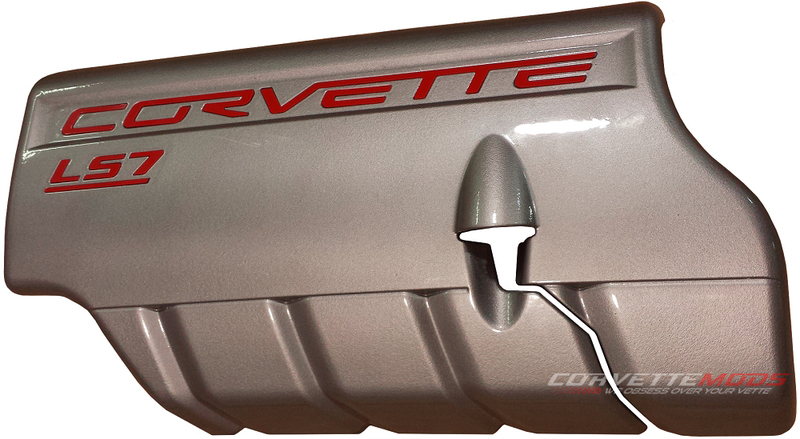 C6 Corvette fuel rail covers will instantly add striking visual appeal to your engine block. 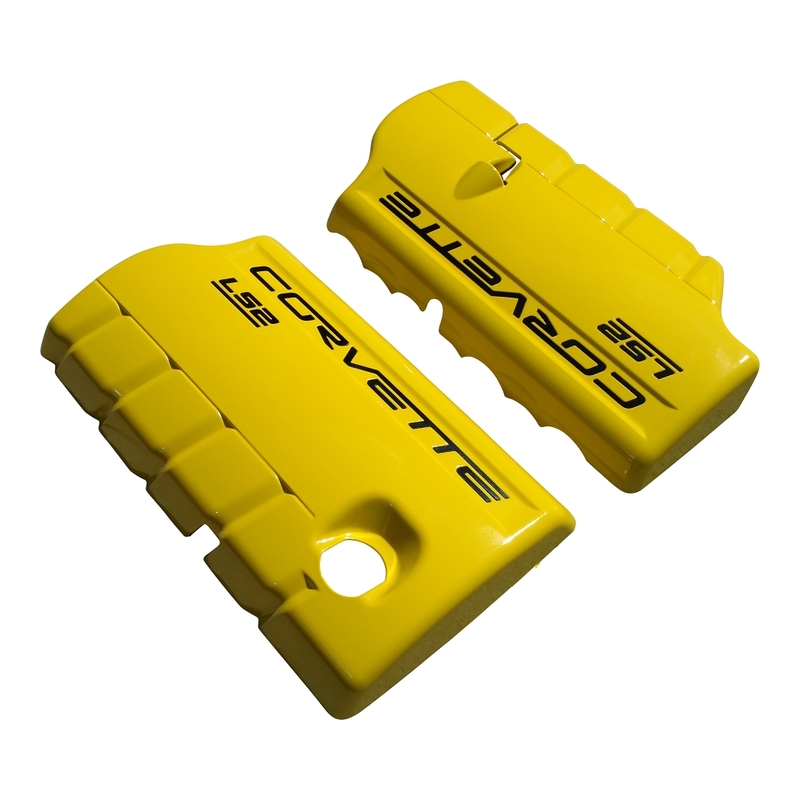 Corvette Mods offers them for every sixth-generation Corvette so you can protect vital components in style. These sleek-looking covers are brand new pieces made from durable ABS plastic. 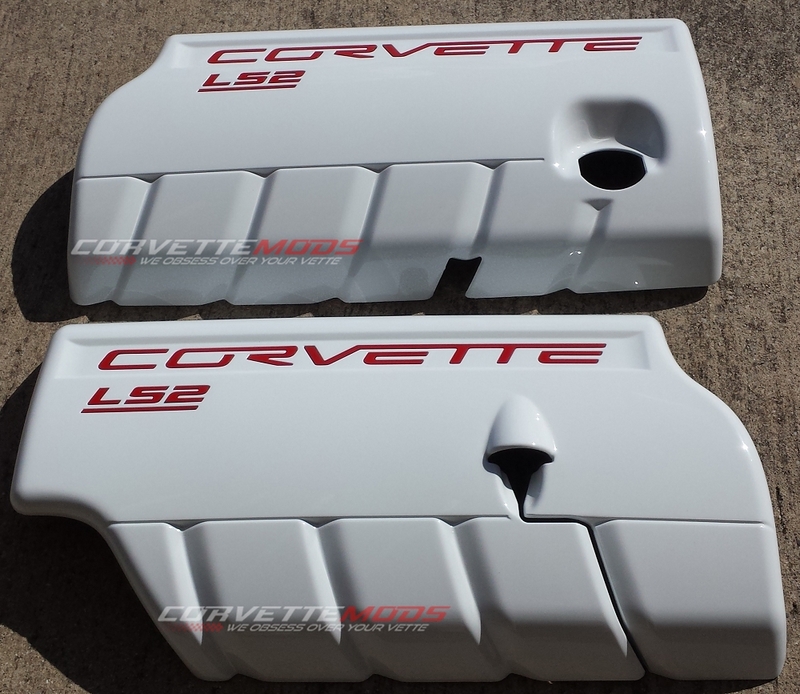 We don't paint used or slightly used fuel rail covers like some of the competition. 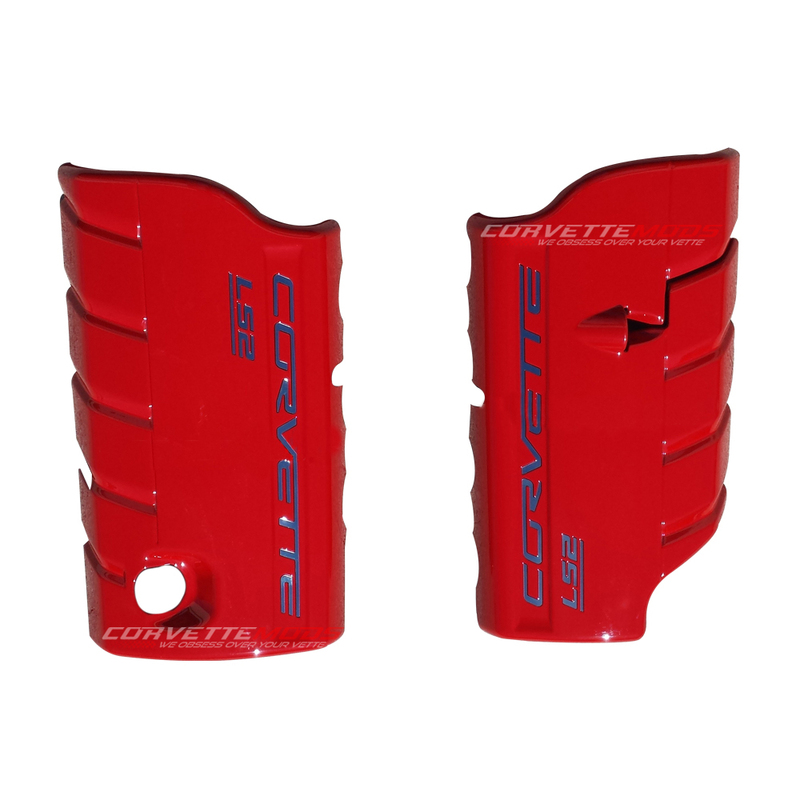 Your Corvette LS2 engine deserves new parts whenever you're doing repairs or customization, and that's what we provide. 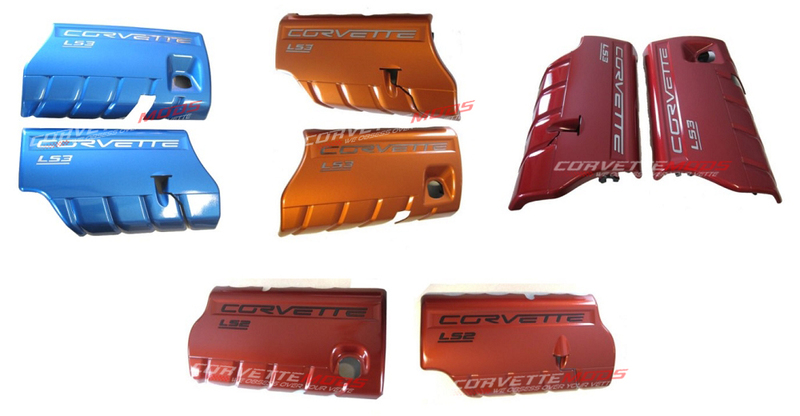 Each Corvette cover goes through a six-step process from prep to priming to painting. We paint each cover in a climate- and dust-controlled room to ensure the finest quality. 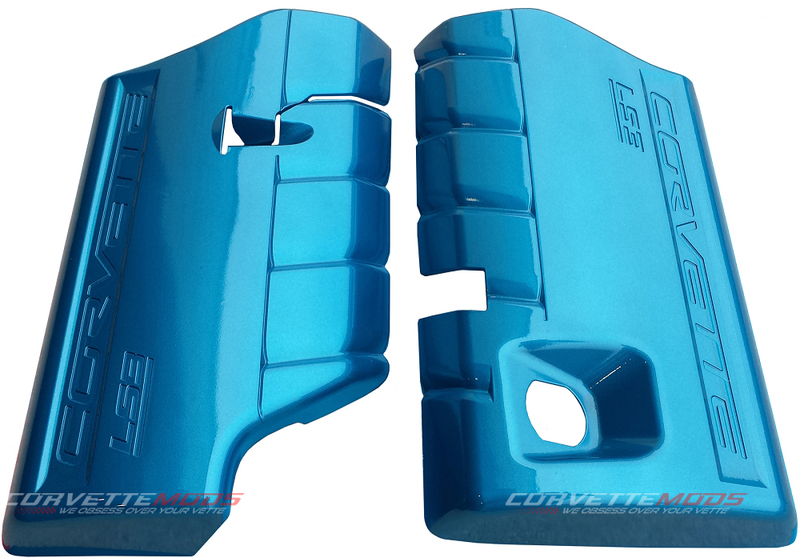 These 2005-2007 C6 engine covers are painted to your specifications on order and ready to win those shows. 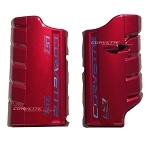 They are also available for 2008-2013 vehicles that use the LS2 Corvette engine. Select your custom-painted fuel rail cover color, transmission type, model year range, and lettering color using our menus. You can also request an extra-smooth finish. Please allow 20-30 days for the painting process. When they are finished, they will ship free in the U.S. Please be sure to remove the fuel line when installing your new covers. The paint will not hold up to the abrasive fuel line. Call our experts during business hours for more advice about customizing your Corvette. Q: Do you send parts to Sweden?